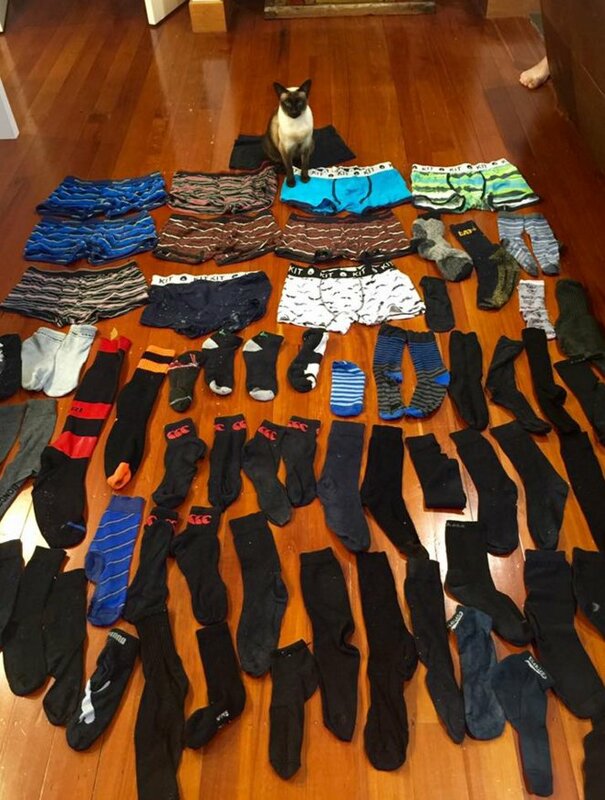 A cat in New Zealand has taken to stealing men’s underwear and its incredulous owner has now counted more than 60 items of clothing within two months. The six-year-old cat, named Brigit has now become a bit of a social media sensation in her native New Zealand. Owner Sarah Nathan says that Brigit has stolen 11 pairs of men's pants and a whopping 50 socks and she has now started posting leaflets around her neighbourhood apologising for her pet’s behaviour and asking if anyone is missing their underpants. Speaking to the New Zealand Herald, Sarah said: "In our last house she'd bring home a bit of everything - men's undies, women's undies, togs, she even brought home a hockey shin pad and a jumper. "She was much less discerning - now she's decided menswear is the thing - and it's a very specific kind of underpants that she likes. "It's an absolute obsession. A night does not go by without her bringing things home. 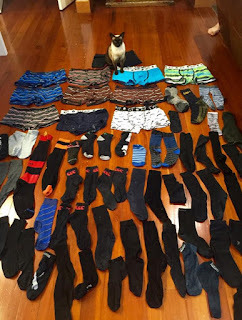 I got up this morning and there were another four socks in the house."